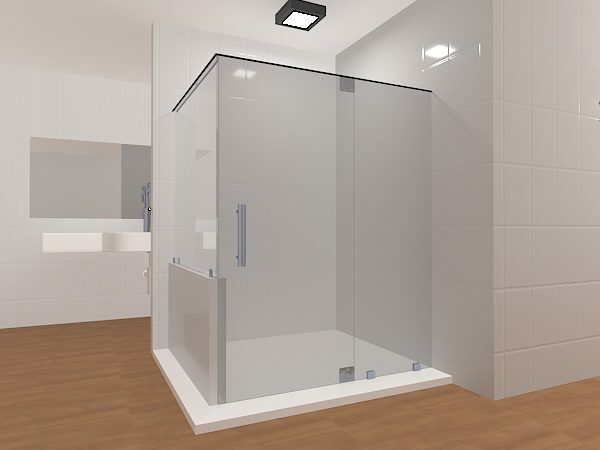 This frameless shower glass door comes in whatever specifications you want it to! 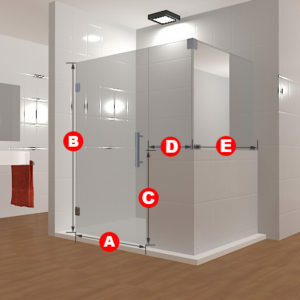 With the door handle on the left and the hinges on the right, it opens right to left seamlessly! 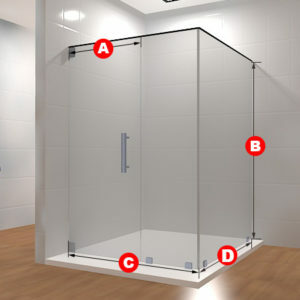 It comes in clear or frosted glass and is made for showers that have a half or partial wall in them to fill that gap. Included in this package are three glass panels, two glass to glass hinges, two glass to floor clamps, and two glass to wall clamps and a handle. 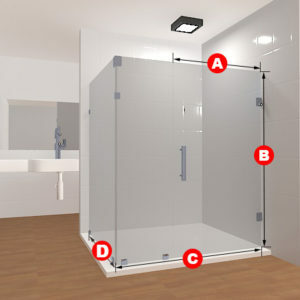 This frameless shower glass door comes in whatever specifications you want it to! 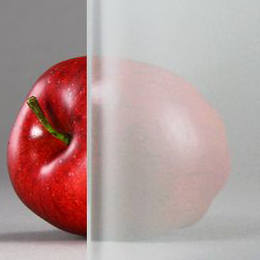 With the door handle on the left and the hinges on the right, it opens right to left seamlessly! 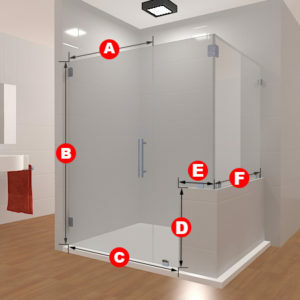 It comes in clear or frosted glass, and is made for showers that have a half or partial wall in them to fill that gap. 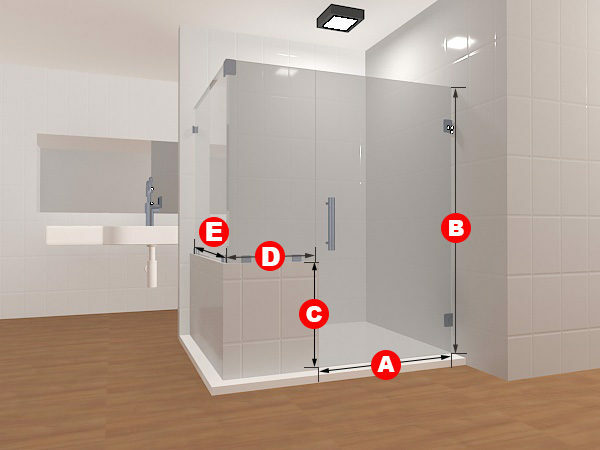 Included in this package are three glass panels, two glass to glass hinges, two glass to floor clamps, two glass to wall clamps and a handle.